Meet Oscar, a sweet young bull terrier who is new to our rescue program. Oscar is settling in at his foster home and is being a very well behaved boy. We estimate him to be under two years old, he is now fully vetted and ready for a family of his own. 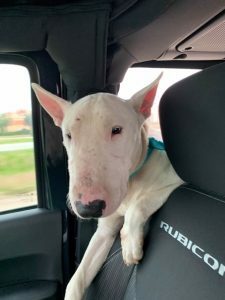 If you would like to make Oscar part of your family, please visit our website – www.texasbullterrier.org – click on the Rescue tab for the online application.